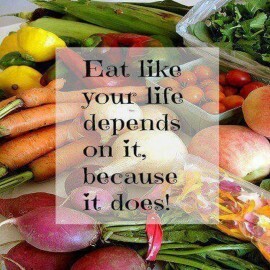 Eat Like your life depended on it??? If you heard this bold statement would you follow through and not re-start every Monday?? As many of you know I will never and have never jeopardized health for image goals with a client or myself. For me I think the meaning of health in the “Health & Fitness” industry has been completely lost. Well let’s say I have seen some of the food plans sent out by top coaches as they call themselves. They are nothing short of starvation diets hitting 800-900 calories a day max! Now try train, work your job and look after a family or any other commitments that take energy and see where 800calories gets you. Usually they are also the most restrictive diets I have ever seen with 2 eggs, then chicken and broccoli on repeat for the next 3 meals. • 150g of broccoli 51 calories. What’s wrong with the meal above?? Well the body runs off 2 main fuels Carbohydrates or Fatty acids. The meal above contains neither which means there is no fuel going into the machine(Your Body) What happens to a car with no fuel it breaks down. View your body like this. So eat like your live depended on it???? What I mean here is from my opinion its easy I have been extremely sick, I have lived my teenage year’s and early twenty’s in and out of hospital living off medications up top 60 tabs a day, 2 self injectable pens per day. I found a medication that trumped 8 years of mainstream medication…Real food! I eat the makes me function and healthy. I also eat the occasional bit of crap too I’m human just like you. I also didn’t eat a vegetable until I was 23 I think! Your meals should consist of whole natural foods; Meat, veg, fish, nuts, oils, avocados, fruits, salads, onions, peppers, olives. Your plate should be like a rainbow- A protein source meat or fish, Veg as much colour as possible, nuts, cheese. You have a variety of food choices here its really that easy. You also need to find a few recipes to make nice meals from these food choices so your not on the bland food train en route to self destruction and bingeing. You need to enjoy each and every meal you eat each day. This gives the one thing most food plans lack- Consistency. Consistency day in day out at about 90% will deliver the body of your dreams mark my words on that.